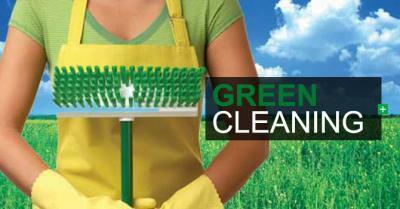 Are you looking for a cleaning company that cares about the planet as much as you do? Are you looking for professional cleaning help, but you don't feel willing to invest in a company that is known for being harmful to the environment? If so, we are here for you. We offer environmentally friendly Columbia, SC services that will help you stay clean while also staying green. We won't make you turn from the values that you hold dear in order to have a clean home or office, we are here to help you stay true to who you are, to give you a clean that will not hurt our planet. We bring a fresh kind of clean to your home or office, the kind of clean that you want and need. We bring a clean that can be felt, a clean that can be seen, and a clean that is green. We bring the kind of clean that everyone longs for, and we will make sure you are satisfied with the results that our cleaning process brings about. We will work with you to bring the best clean to you, and we will help you to relax by allowing you to know that you are in good hands and that your home or office will be cared for to the best of our ability. We are experienced at what we do, and we offer the best environmentally friendly Spartanburg, SC cleaning services you could ever ask for or need. We will work hard to keep you satisfied, to keep your home or office feeling clean. We are here for you, and you can trust us to always work in a way that is environmentally friendly in Columbia, SC.